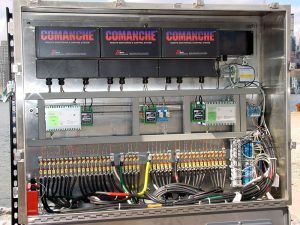 When it’s time to decide which remote monitoring and control unit is best to install along your miles of pipeline or in your tank farm – our COMANCHE Chief is your all-in-one answer. 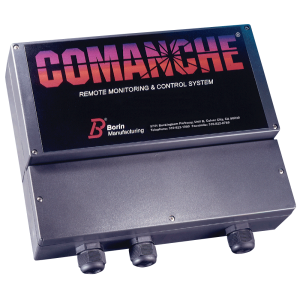 Each COMANCHE Chief has an internal high-capacity data logger, which stores unlimited readings for the above applications (and more!). Once encrypted and transmitted from the COMANCHE Chief, your data can be managed from one single screen of our robust BORIN Data Center. You can see all of your RMCUs on a single map of your facility/area – color coded by status and clickable for more details – or manage all of your installations from one easy-to-navigate table. If it corrodes, we can monitor it. Built with plug-and-play modular electronic cards configurable to your needs. GPS-synchronized interruption or synchronization by internal clock. Water-, moisture- and dust-proof to an IP 65 rating (Nema 4x). High-speed TCP/IP network bridge interfaces with any communication system available: GSM, Satellite, radio, fiber optic, SCADA, MODBUS, et cetera. 2 GB on-site capacity data logger. Once your data is downloaded from your COMANCHE to the BORIN Data Center, there is unlimited Data Center storage capacity. Data is encrypted and transmitted to the BORIN Data Center, which has unlimited storage capabilities. 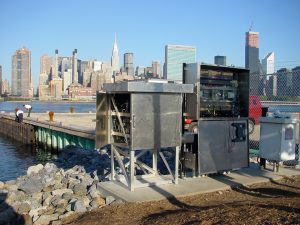 The robust BORIN Data Center allows you to manage your entire cathodic protection system from one screen. 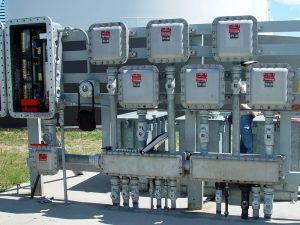 Monitoring reference electrodes, IR-free reference electrodes, Resistance bonding points, Casing to carrier shorts, DC drainage, DC current/density, AC mitigation monitoring, Pipe to soil potentials, Instant OFF, Depolarization, and more. Data transmission is encrypted within our protected Virtual Private Network. 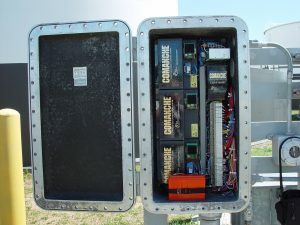 Ensures data will be safe and exactly the same at the transmitter and receiver. Choice of 110 VAC, 235 VAC or 12-24 VDC power supply. Battery backup available. 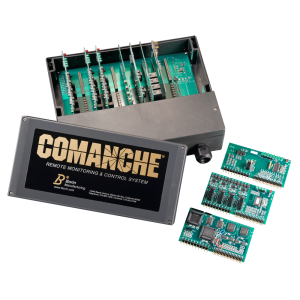 COMANCHE Chief is our most robust RMCU, completely configurable to your needs. Copyright 2017 BORIN® Manufacturing, Inc.